The warm Pontianak air hit me with a hard, humid slap. Touts jostled for attention at Bandara Supadio, vying for my money. I flew in from Kuching, my home city on the Malaysian side. With no one to share a cab, I walked into burning sunlight, hoping to get a cheaper ride further away from the arrival hall. Across the parking lot a voice called out to me. 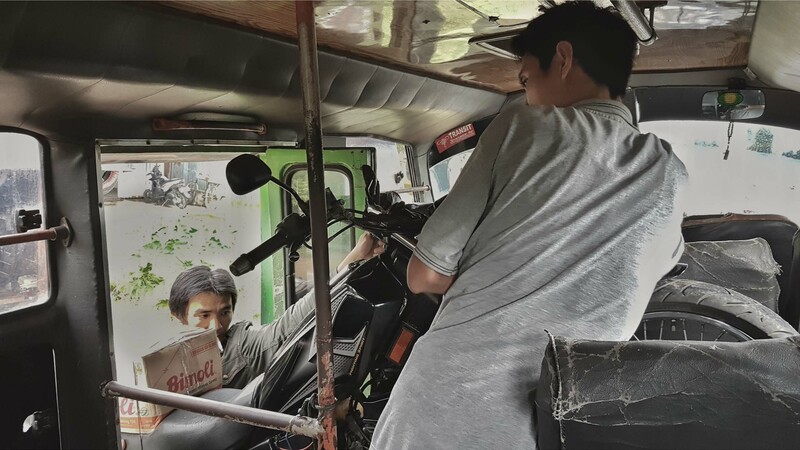 He is an ojek driver, offering his services to drive me into the city. On the back of his motorbike, we rumbled into the traffic. 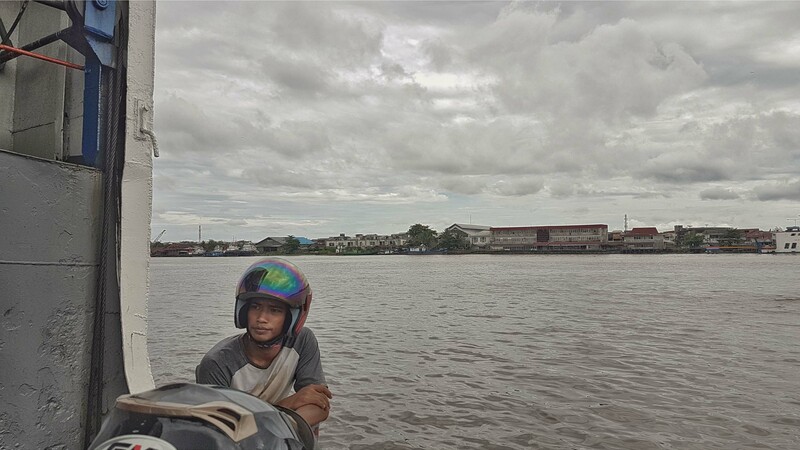 A sprawling urban city, Pontianak is the capital of West Kalimantan (Kalimantan Barat or KalBar as the locals say), and my first stop in this province. Borneo might be shared among 3 nations, but many from the Brunei and Malaysia side has never stepped foot in the lands of our Indonesian brethren, including myself. I decided on this trip at the spur of the moment, seeing how cheap flights were. Pontianak is a city of motorcycles and cars. It’s a city of the working class, not much geared towards tourism. I enjoy watching a city waking up and winding down, throwing up dust as it scuttles to work in the day, and settles as the sun sets. Coming from Sarawak I thought I knew what humidity is, but Pontianak is on a whole other level. The only city in the world to sit exactly on the equatorial line, the days are sweltering and wet. But hey, I like a challenge. One prominent feature of this city is the brackish canals that run parallel to the roads. Apparently being built on peatlands, the city is not immune to floods or sinking. Despite not being pedestrian friendly – you need to crisscross roadside stalls and broken pavements, or no pavements at all – the best way to truly experience this rugged city is by walking. One of my favourite places is the uniquely named Pasar Flamboyan, an enormous wet market that sells all kinds of fresh produce. Be warned, the smell can be nauseating for some. 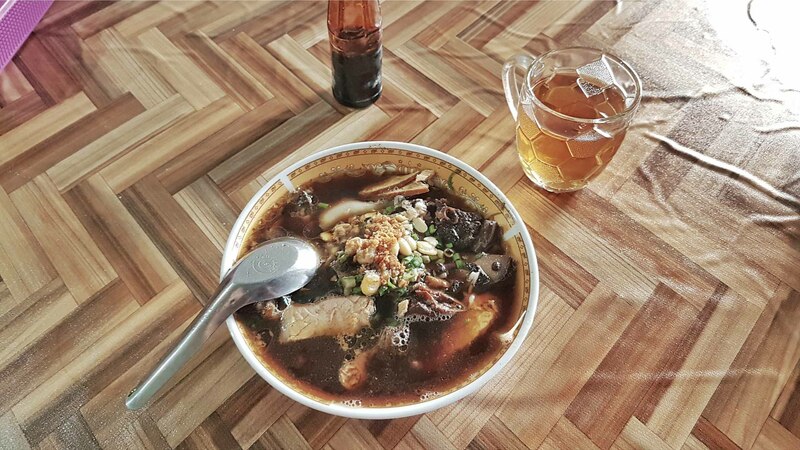 Yet it’s also where I stumbled upon a hole-in-the-wall serving amazing noodles. I just followed my nose. One thing that stayed with me is the delicious variety of home grown coffee available in Pontianak. I couldn’t get enough of it! My hostel sits above an amazing café with acoustic pop live bands. It happened to be the only hostel I could find in Pontianak. 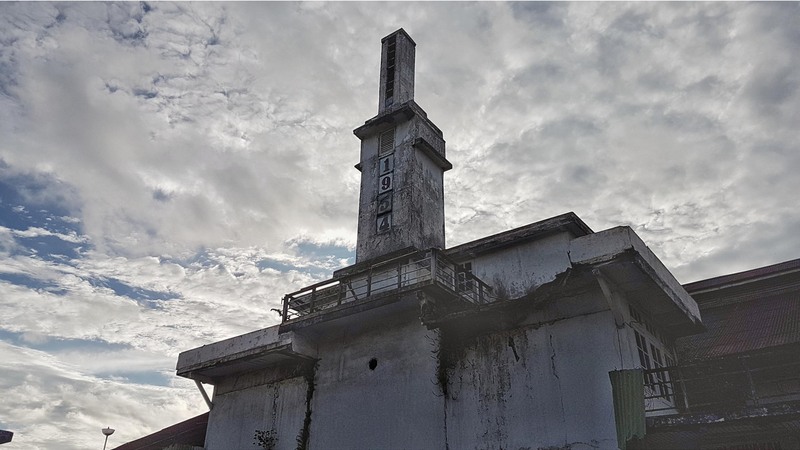 Most visitors use Pontianak as a jumping off point to the national parks in Pangkalanbun, so you almost never see any foreigners traipsing through the city. One night as I was leaving the only shopping mall (my adaptor broke), I met a friendly local by chance. He worked as a security guard for one of the commercial lots that I passed. He agreed to send me back to the hostel. In the end he drove me around and brought me to an amazing local food spot. “My mother is a Malay from the Mempawah Sultanate, my father a Bugis from Sulawesi. 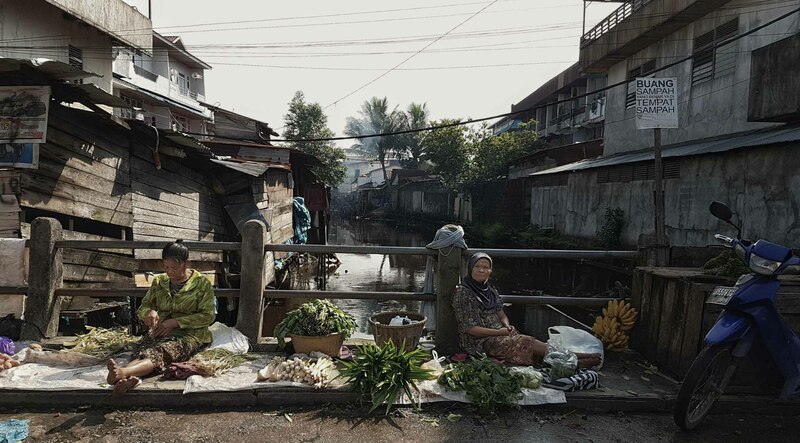 I’ve lived in Pontianak almost all my life. I love it here. We should always be honest. That’s my personal belief and principle. Once you betray someone’s trust, you can never get it back. That’s why I get plenty of opportunities for side jobs. Because when you’re honest, opportunities will always come knocking”. I took a public bus from Pontianak to Singkawang, a city by the coast 4 hours away. I caught a glimpse of rural town life as we stopped to pick up passengers standing by the wayside. School children thronged the bus, hanging from the roof, leaning out the doors. 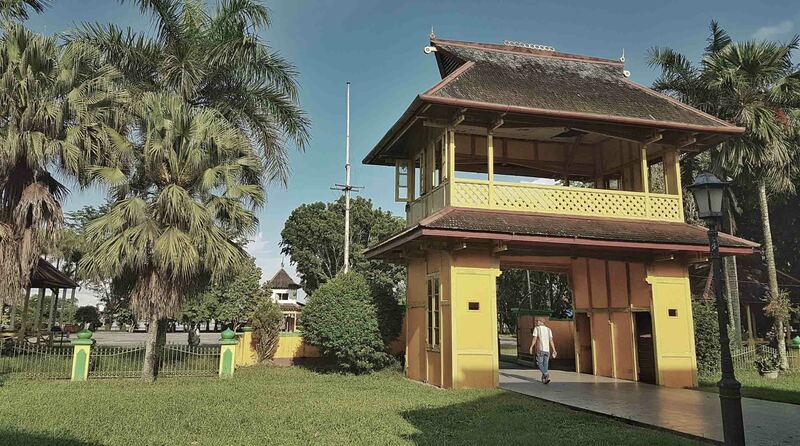 Singkawang is a predominantly Chinese city, also known as The City of a Thousand Temples. Downtown is laid in a grid, old shop lots plying generational trade. There is a calm stoicism to this place, a relatively easygoing, quiet working city. 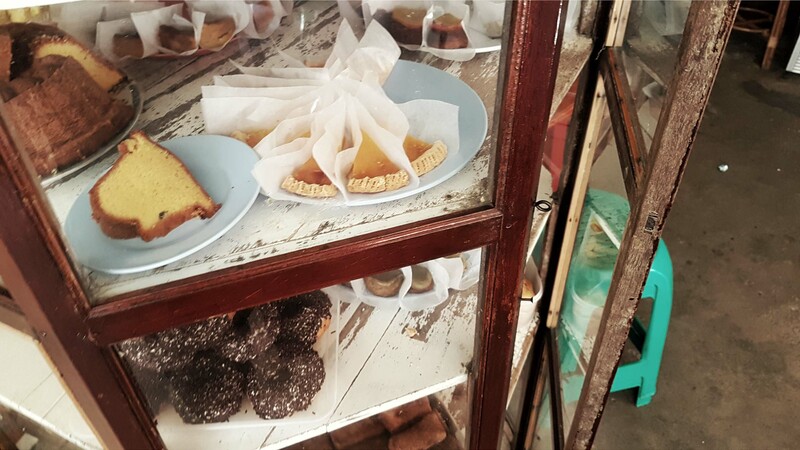 I walked along the numerous old shops, wandering past paper offerings, abandoned cinemas and coffeeshops. So Singkawang itself was once part of the first democratic republic in Southeast Asia called the Lanfang Republic, founded by a Hakka migrant from China. It sat in the confusing geopolitical alliances and wars between the Pontianak, Sambas and Mempawah Sultanates. The Chinese, upon invitation from competing Sultanates in the region, began mining gold especially in Monterado (a corruption of El Dorado). But sadly like any other form of government in the region at the time, the Dutch colonialist came and gatecrashed that party. 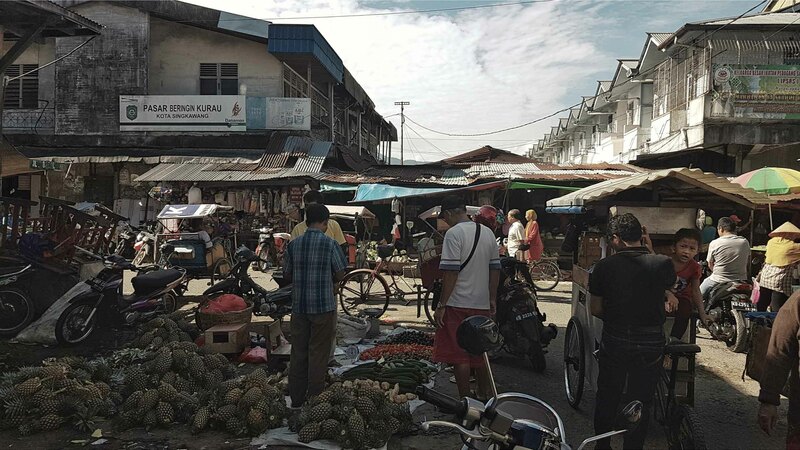 Pasar Turi is a disorganized mess of a market that exudes energy and authenticity. Produce are sold on the ground, spilling onto roads. 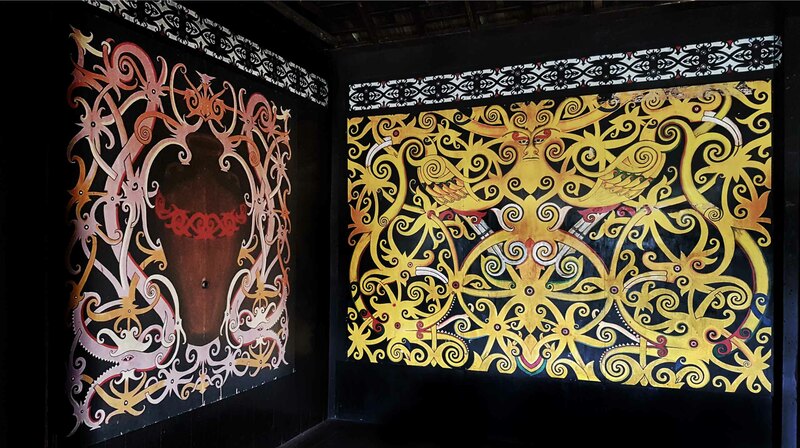 A must visit is Rumah Marga Thjia (Thjia Clan House), a historical complex with multiple generations still living within. In the evening I went for a short hike up Rindu Alam, a viewpoint overlooking the blue Teluk Bajau beach. 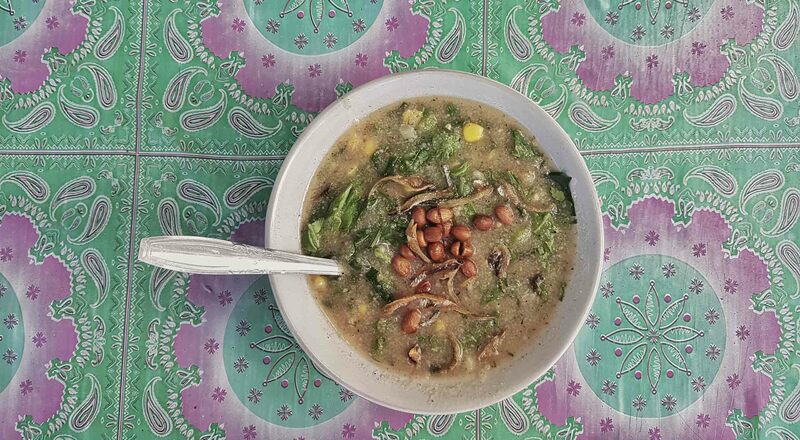 Singkawang is well known for weekenders from all across the province. “I was born in 1943. I’m the 4th generation. Currently this complex is home to the 7th generation. The Thjia family, my great grandfather came from China. He settled in Melaka. 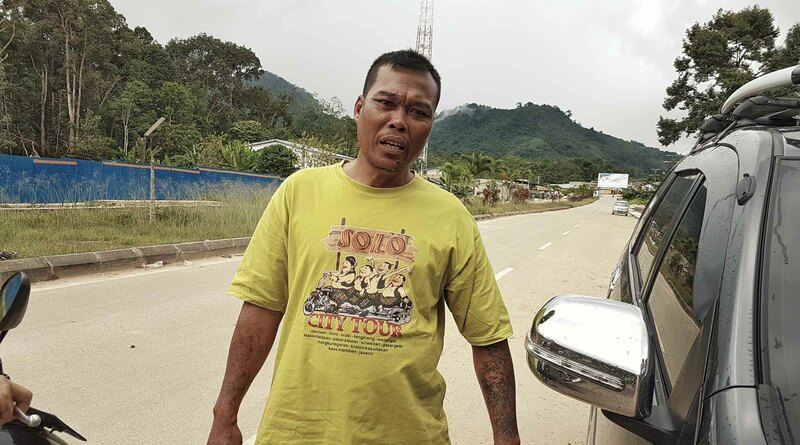 His son got sent by his boss to Singkawang as a labourer. He built this place in 1902. My final stop is Sambas, the town with an open secret. 3 hours away from Singkawang, the road veered north, deep into the hinterlands. Sambas is relatively small, a collection of shophouses in the buzzing town centre and suburban village homes radiating outwards. Located at the banks of the Sambas River, a walk on the raised walkways by the riverside gives you time to absorb its dark past. 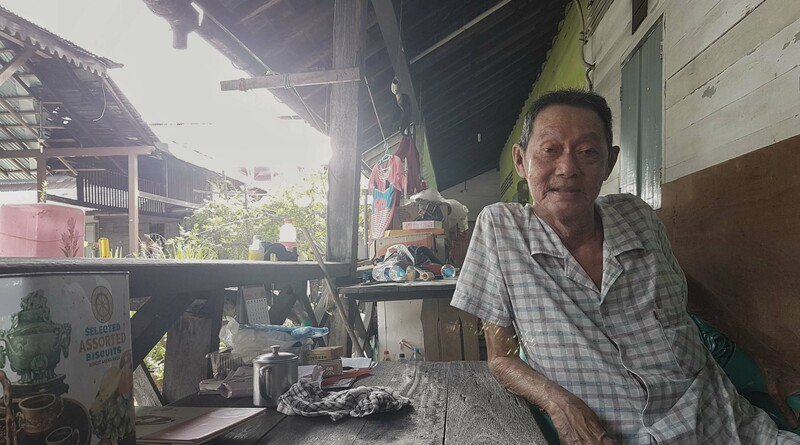 If you live in Borneo, you would have heard of the ethnic conflicts that dominated the West Kalimantan province in the 90s. Sambas is ground zero for one of the worst riots in history. The Dutch colonialists implemented a Transmigrasi program that resettled poor and landless people from Java and Madura to less densely populated islands, like Borneo and Papua. They were given land, homes. Depending on which side of the story you listened to, one or the other is to blame for instigating the riots. Things came to a head in 1999 in Sambas when indigenous Malays and Dayaks allied and massacred the entire Madurese population of Sambas. They raped, hunted and killed 3000 Madurese who held the town under siege. 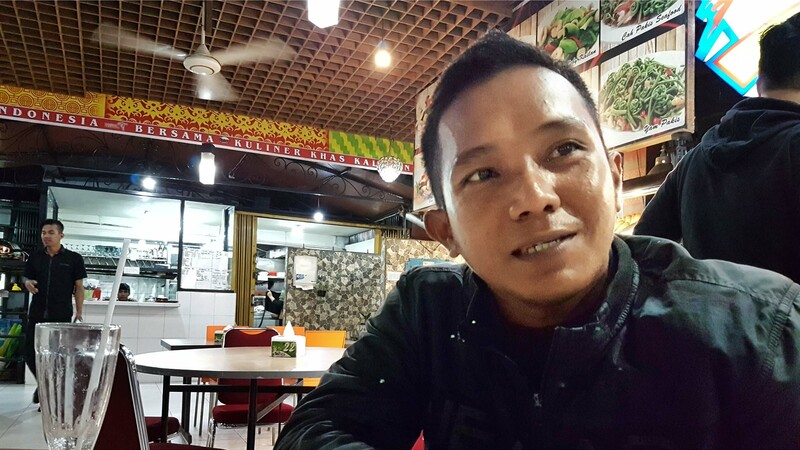 Many fled to havens in Pontianak and Singkawang. Reports of cannibalism by the victorious Malays and Dayaks were a thing of notoriety, with one Western journalist reporting seeing charred femurs and plastic bags of stringy grey human flesh skewered and shared. The war galvanised the entire West Kalimantan province, with fighters coming in from the deep jungles and coastal cities. The stories I heard echoed memories of my youth when reports first filtered across the border towards my hometown of Kuching. I slept that night with more questions than answers. On my last day, I visited Istane Alwatzikhoebillah, Royal Palace of Sambas. Small and compact, the wooden structure is now a museum. Upon enquiry a local introduced me to an old man who lived in a row of houses behind the small palace. Turns out they are the caretakers, and relatives of the royal family. “Those of us who live here are the descendants of the Sambas Royal Family. We don’t get any funding to maintain the palace. We do what we can to keep this place open to visitors. You know we are related to the Brunei Sultan? That Bolkiah? But they’ve never visited us. Not once. Of course we can go and see him in Brunei. But by right he is the one with wealth. He should come and see us. Out of respect at least. The rich should help the poor no? I’m old, but I still work. I have to. I said goodbye to Sambas and got in the rented transport. He drove me to the border, arriving at the Aruk-Biawak border crossing, where I crossed back into Sarawak. 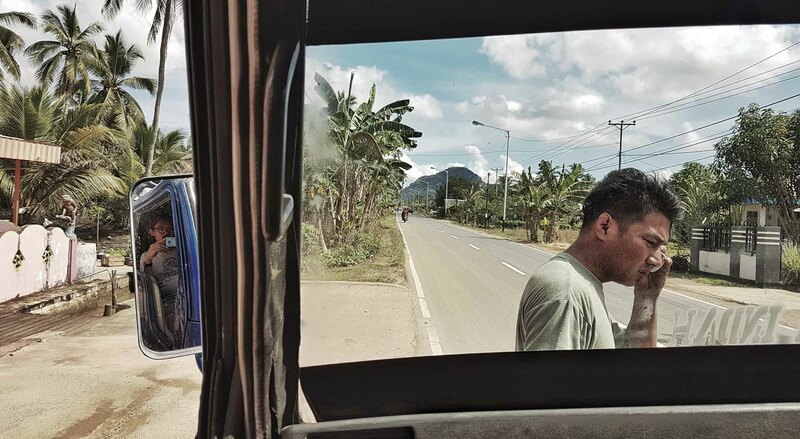 The journey took me along newly paved roads, part of President Jokowi’s drive to increase connectivity between all major cities in Kalimantan and the Malaysian border. There’s an amazing view as you zoom closer towards the border, picturesque mountains carpeting the landscape. 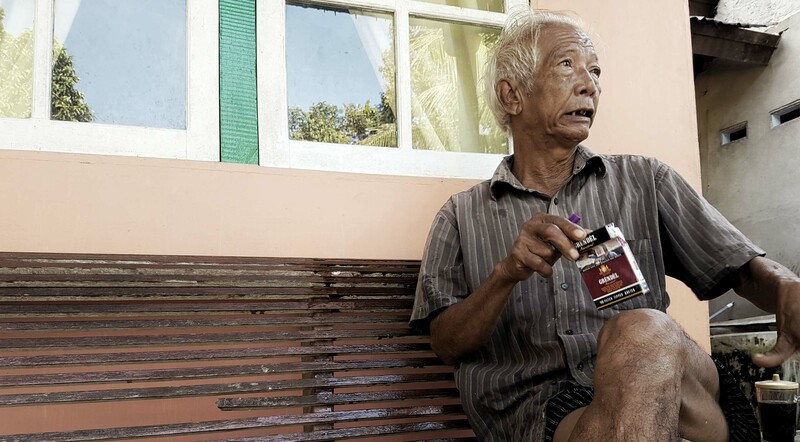 “There’s no more Madurese here. They dare not step on this earth. We all went to Sambas, back then in 98′. Burnt the bodies in the city where you stayed. We ate their flesh. Sikit aja. Back then we had no proper roads. To get to school we had to paddle a small boat-7 of us- a week to reach Sambas from Aruk. Went home once a year for Christmas. Life was tough. You know beras merah (red rice)? I don’t think you know red rice. It’s a type of cheap rice we got from Malaysia in the 90s. Made in Vietnam I think. Normally it’s horse food. But it was all we could ever afford. Dry and hard to eat. I tell my children to study hard. At least now their school is in Aruk. No excuse for them not to finish school. It’s curious how travelling a few hundred kilometres away from home can show such a different way of life. We all come from the same island, yet lead such different experiences. I merely explored a single province in Kalimantan. This is a land of stark contrasts, where the everyday man grits his teeth and works harder. The people are proud, yet warm and passionate. I hope to return and explore the other 4 provinces to the east and north one day. I have been met with nothing but friendly charm. 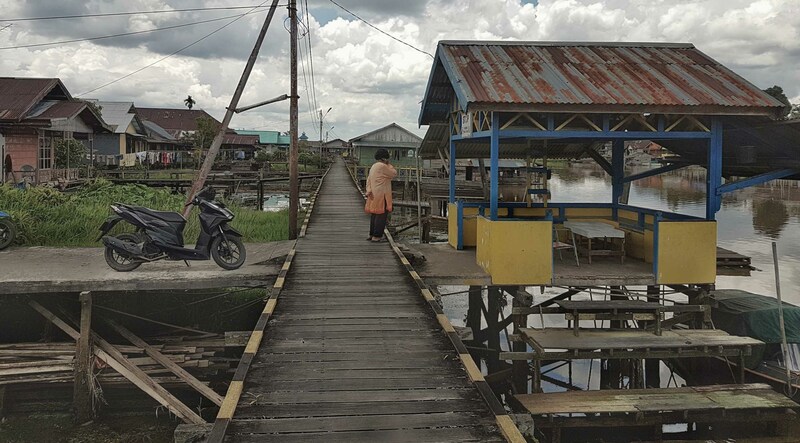 It lies outside the typical travel trail, land connectivity and basic infrastructure outside major cities remain basic, but the raw, unfiltered experience travelling through Kalimantan has showed me this is a place worth visiting and exploring. It is a place that despite so much setbacks, has still managed to retain its essence.